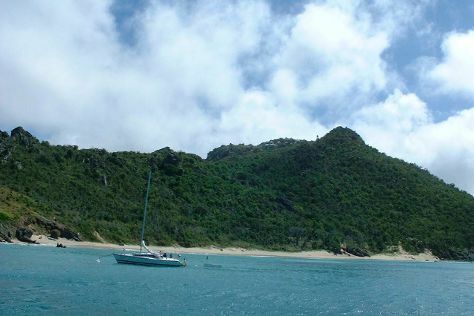 The volcanic island of St. Barthelemy has become a popular holiday destination for the rich and famous. It doesn't take a large leap of the imagination to see why, with the towering mountainous backdrop, green hills, and waters protected by a coral reef. The beaches offer ample room for lazing under the sun, while the calm waters offer rich marine environments, easily accessible on dives or snorkeling trips. A St. Barthelemy vacation can work to a budget more modest than a millionaire's too, with good deal available during off season. St. Barthelemy is in Caribbean. Plan the details of your St. Barthelemy holiday and any onward adventuring with our easy-to-use St. Barthelemy trip planner.